ILR will award a minimum of one $500 scholarship annually to a graduating high school senior and one $1,000 scholarship to youth entering his/her junior or senior year of college from the ILR Youth Scholarship Fund. Additional scholarships may be awarded at the discretion of the scholarship review committee and based upon available funding. 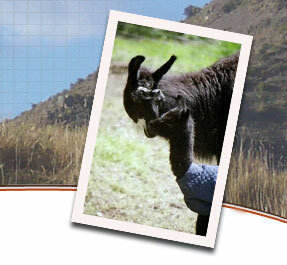 The ILR Youth Scholarship Programs is designed to recognize outstanding youth members who are actively involved in a variety of ways with their llamas, active in their school and/or community, committed to high character and service towards others, and promoters of llamas with other youth. Scholarships will be awarded in June and winners will be recognized at the ILR-SD Gathering of Friends and Champions. Youth interested in applying will need to complete the application form and provide the required supplemental materials. For scholarships, the application and supporting materials must be postmarked no later than April 5th, . Applicants must ﬁll out the scholarship application completely and it must accompany the checklist, question responses, letters of reference, and transcript to be considered. All materials must be postmarked no later than April 5th, to be considered. One letter from an individual familiar with your character, attitude, work ethic, etc. Applicants who fail to meet the requirements will be notiﬁed by email. A high school senior applicant must plan to attend an accredited community college, college or university, or a vocational or trade school within one year after receiving the scholarship. (After one year, failure to enroll will result in forfeiture of the scholarship). To receive the college level scholarship, the youth must be currently enrolled in college and plan to continue their studies in the Fall. (Failure to continue will result in forfeiture of the scholarship). Scholarships will be payable in the recipient’s name to the institution the student attends. Applicants must be current ILR youth members or have maintained youth membership until reaching their 20th birthday. Selection will be based 50% on involvement in llama activities, 25% on academic preparation, and 25% on work ethic, volunteer/community service activities, and leadership. Winners will be notiﬁed by June 1st. Winners may be asked to provide a photo and additional information for publicity of the awards. Individual applications and responses will not be reproduced or made available except to the selection committee. Applicant conﬁdentiality will be protected to the extent possible. The selection committee reserves the right to conduct phone interviews with their ﬁnalists as part of the selection process. Applicants with questions are encouraged to contact the ILR oﬃce at (406) 755-3438 or email to ilr@lamaregistry.com. The ILR Youth Scholarships are funded with an initial allocation from the ILR general fund, but for the program to be sustainable we must rely on your generous donations. 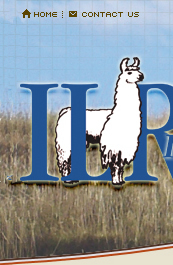 An ILR Youth Scholarship Fund has been created within the International Llama Foundation (a 501.c3 organization) so your contributions may be tax deductible. Please consider making a donation today. For information or with questions please contact the ILR office at (406) 755-3438 or email to ilr@lamaregistry.com. 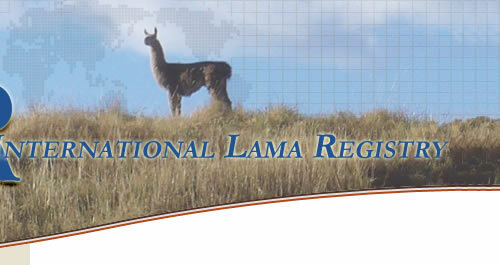 Your ILR Board of Directors is committed to growth of the ILR llama youth program. The youth scholarship is one way of recognizing our outstanding young people involve with ILR and the llama industry.